The most exciting and cheap kerala group tour packages are available with us and you will be astonished at the scenic views available throughout Kerala. With group tour packages to kerala including houseboat rides, you are set to enjoy the tour to your brim. We like to give you the best kerala group tour packages when you are spending your money intelligently. When you travel for the love of travelling, more than just for a holiday, you ought to venture out into the wilderness of Kerala and its misty hills covered by forests. Choose the best kerala tour packages for group from the list of packages given below. We can customize and help you to plan the group tour in Kerala with hotels, cabs, houseboats, sightseeing hassle free. Experience amazing Munnar’s tea gardens, waterfalls, trekking spots, picnic spots, camping and backwater cruise with our 3 Days 2 Nights Munnar, Alleppey Group Tour Package. 3 Days 2 Nights Athirapally, Kumarakom Tour Package is one of the best package designed for the group travellers. Hang on with your friends and enjoy a lovely stay in Kerala. We have some more 4 Days Kerala Group Tour Packages Available. Here is a list of all 4 day Kerala Tour Packages for Groups. Are you looking for something different for your family in your holidays? Yes, you are almost there to get it. You will get a unique experience in your Kerala holiday packages. Munnar is the beautiful hill stations in South India with tea plantations, waterfalls, parks, etc. Alleppey is the perfect and famous destinations for houseboat holidays in Kerala. Kovalam , is famous for its amazing beach destinations. We offer you different itinerary for something different experience with Kovalam and Alleppey. Enjoy and relax with your friends. Kerala group tour packages for 5 days with pricing and details. 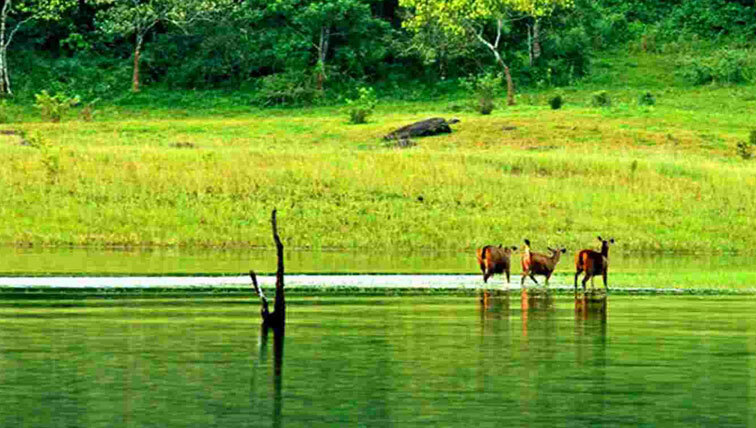 You can celebrate your holidays in Munnar by watching Nilgiri Tahr , Blossom international park, etc. explore maximum natural attractions. Alleppey backwaters will be a unique travel experience through the lakes.